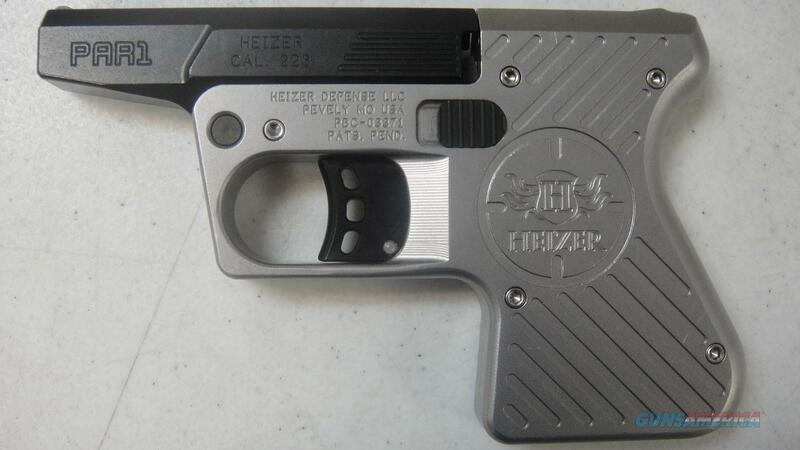 Description: This new Heizer Defense PAR 1 pistol fires the .223 round. This single shot pistol has a 3.75" black barrel with a stainless frame. This cool break open pistol is weighted to absorb the recoil. This pistol comes with a zippered case, box, lock, and manual.